I’ve definitely been on a kick this year. A donut kick. Maybe because I bought a donut pan. That could have something to do with it. Or maybe because Goose loves donuts and likes to help make them. 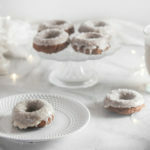 But either way, these easy gingerbread donuts with a maple buttercream glaze are part of the kick. They have a secret ingredient too, that I absolutely love. Any guesses? Drum roll please. It’s pumpkin. I just wasn’t ready to see pumpkin season end. Being the unashamedly basic girl that I am, I think it gets pushed out too fast. 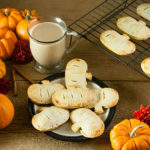 Don’t people still enjoy pumpkin through the winter holidays? Am I the only person who sort of expects to see some sort of pumpkin pie on the table after Christmas dinner? So pumpkin lovers, this one’s for you. 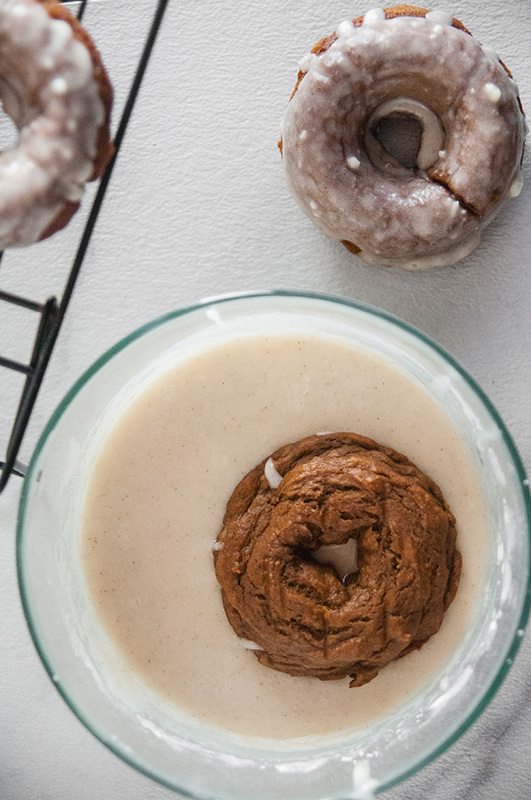 I know it sounds kind of weird to have a full can of pumpkin in gingerbread donuts, but hear me out. 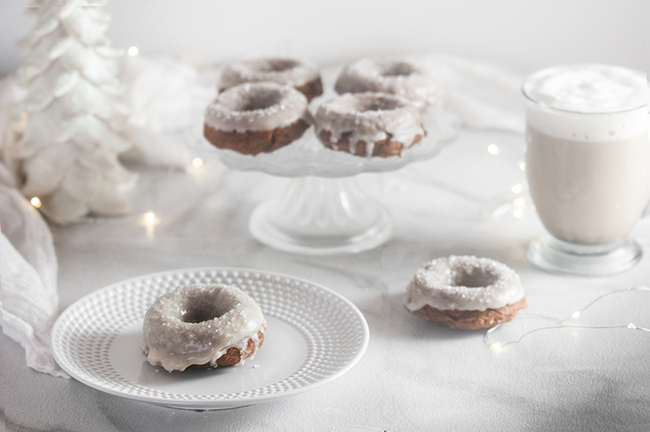 I use the pumpkin in place of oil the way I did in these easy pumpkin donuts. The pumpkin is kind of like the applesauce substitution trick. 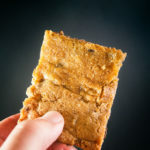 It just fades into the background and offers a little extra sweetness and a lot of extra moisture. 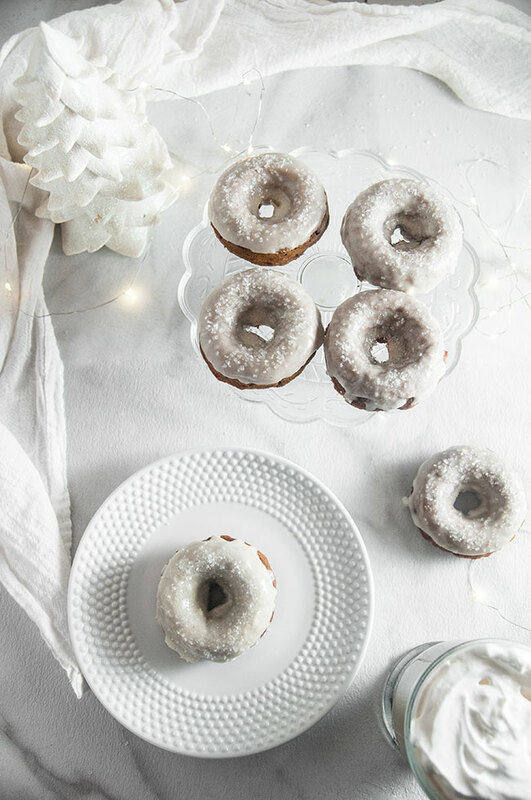 It makes for incredibly light and fluffy donuts, which I prefer over the densely cakey kind. 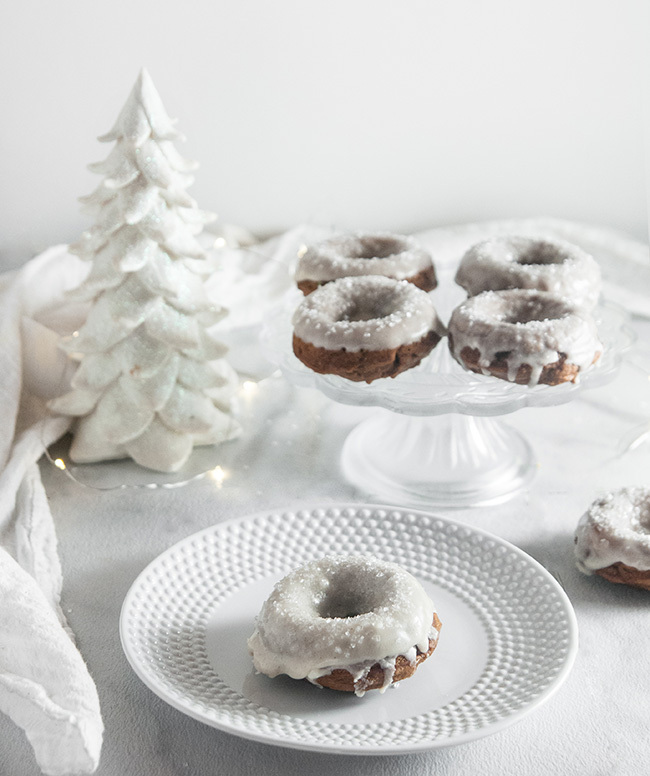 And these donuts are incredibly easy to make. 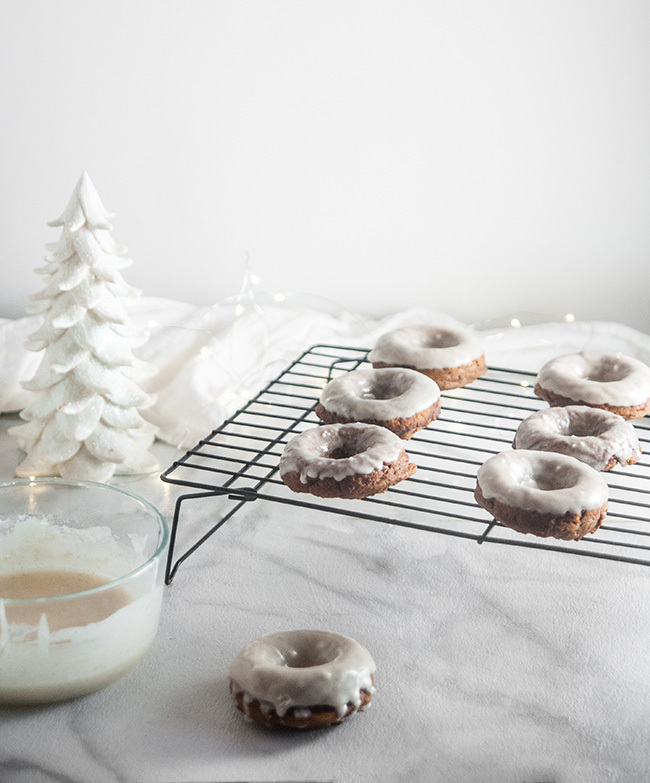 Like my pumpkin spice donuts, I used a box of gingerbread cake mix as the base. That way all the dry ingredients are measured out and done. Then I added some extra cinnamon and extra ginger to the mix to really bring out those warm holiday flavors. If you follow me on Instagram and watched my stories the other day, you know Goose helped me make these. We had a pj baking day- so much fun. She cracked the eggs into the mix (no egg shells this time!) and stirred in the pumpkin. She even helped spoon the mix into the donut pans. And of course she taste tested. Both before and after the donuts were iced. Speaking of the icing. It’s sort of a glaze. Just powdered sugar, butter, maple syrup (paging Buddy the Elf) and some half and half, cream or milk. Nothing fancy, but seriously Buddy knew what he was talking about with maple syrup being its own food group. It really makes this glaze special and so delicious. I couldn’t stop tasting it myself. And you have options with it. To get a thinly glazed donut dunk it in the glaze right away then let the donuts dry. For thicker glaze, either do two coats of the icing right away or let the icing firm up for about 20 minutes and then dunk the donuts in. Totally up to you. So tell me, what’s your favorite holiday flavor and how do you feel about pumpkin after Thanksgiving? Preheat the oven to 425. Spray a donut pan with nonstick spray. While the oven is preheating stir together all the ingredients for the donuts until they are well combined. Spoon or pipe batter into the donut cavaties. Bake for 10-12 minutes. Let cool and remove from pan. 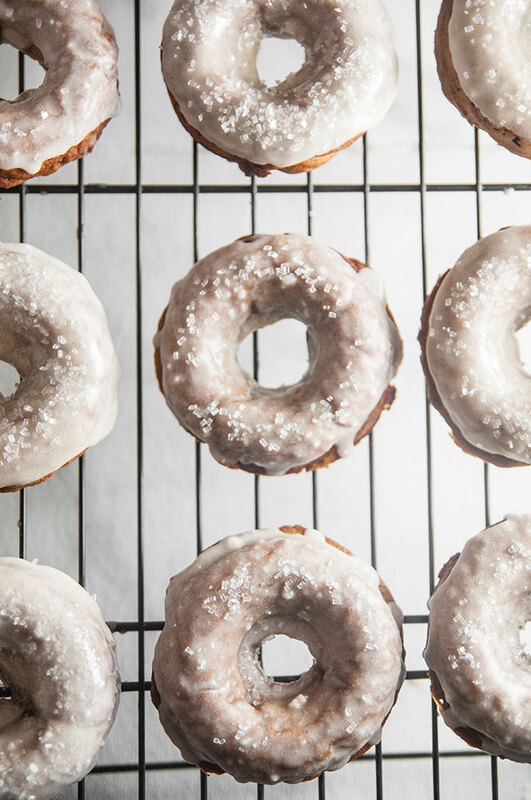 While donuts are cooling, whisk together the ingredients for the glaze. When glaze is made, dip top of donuts in and return to cooling rack. 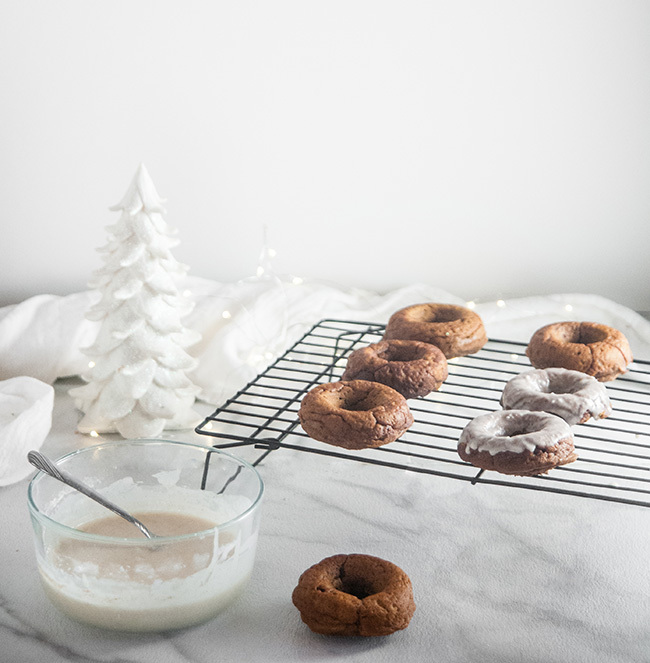 If looking for a thick glaze, either double dip the donuts after the first dip has set slightly or let the glaze cool for about 20 minutes prior to dunking. Sprinkle with sprinkles if desired. Enjoy! These look bomb! 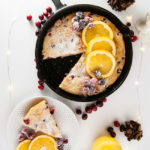 Perfect for Christmas morning!! These look SO delicious! I’m going to have to try this recipe! These look so amazing! Need to make them! I have never made donuts before because it seems kind of tricky. Now I am totally rethinking it. The gingerbread flavor sounds divine!! My doughnuts always backfire on me but I will not give up, I’m going to keep trying until they turn out right, so will give this a try. 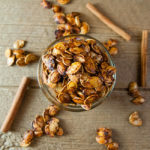 These sound very yummy and easy to make! Your pictures are beautiful! Those look delicious!! Perfect for Christmas brunch. I’m not usually a gingerbread fan, but my mouth is watering! Gingerbread is one of my favorite flavors, especially during the holiday season. 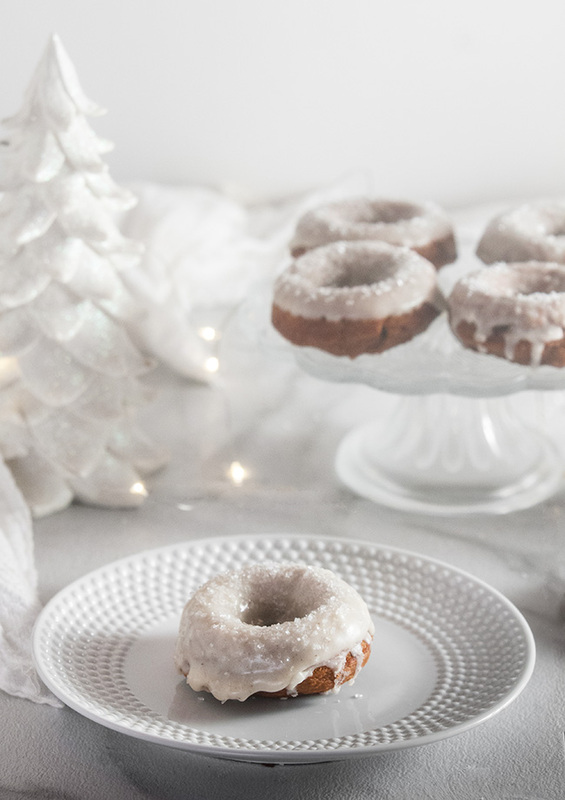 These look so snowy and delicious! What size box of gingerbread, out of curiosity? I just bought two boxes and they have different ounce weights. Thanks! Hi Jaye! I used a 16 ounce mix from King Arthur flour. Hope that helps! Happy baking and Merry Christmas!